Hammered to the Max is a free ebook by Shawn Olson that teaches how to use 3DS Max as a level editor for Valve’s Source game engine. Read on for more. Very little was done to the art pipeline for the Source Game Engine for years. This has led to many corners of the internet to dismiss Source for some of the newer engines. 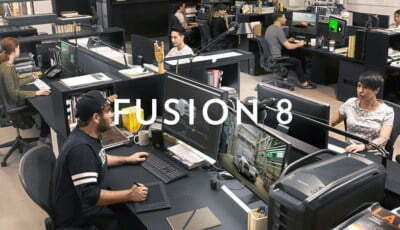 While Source has continued to evolve since its inception, its clunky nature for integrating custom assets has never been easy for artists–and the level editor called Hammer is archaic next to modern level editors. This is where Wall Worm comes in. Wall Worm started in 2010 as a simple tool that automated a few of the steps of bringing models from 3DS Max into the Source engine so they could be placed in Hammer. Over the next four years, Wall Worm evolved into the complete asset pipeline and now a full-blown level editor. 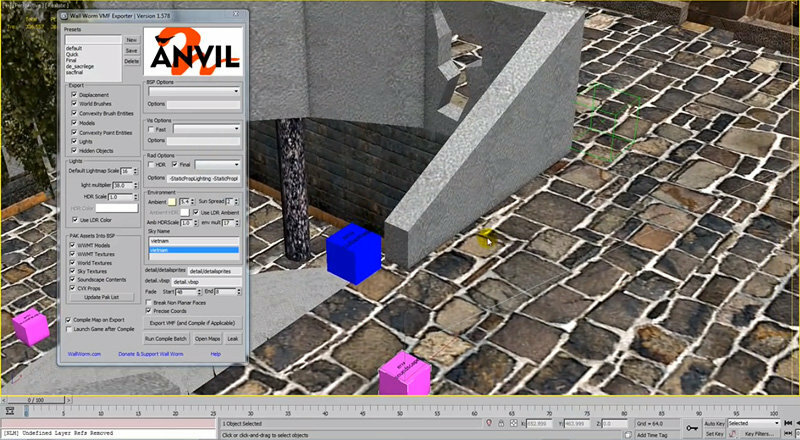 Wall Worm has all of the tools to create environments for Source directly inside 3DS Max. Unlike using the traditional Source where artists had to open text files, batch files, compilers, etc, the Wall Worm philosophy is to allow the artist to create everything visually. Who wants to open a text file and type 10 lines of commands just to make an ammo crate? You can get Wall Worm for free at Wall Worm’s site.